No one really prepares you for university finishing and believe me it’s incredibly daunting. I studied Journalism, Media and English Literature at Cardiff University and always thought I wanted to be a journalist. After completing my second year I began to panic about having little work experience so I decided to stay in Cardiff to try and gain some. I ended up volunteering at George Thomas Hospice Care and Horn Development Association as well as completing a week at Buzz Magazine. Although these three organisations were all very different, they taught me that there were a number of jobs I could do outside of journalism if I was interested in working for the media and communication industry. I also managed to secure a Marketing Internship at the university’s Student Support and Wellbeing Service throughout my third year. During this placement I thoroughly enjoyed the creative aspect of branding and campaigns so began looking into graduate opportunities in PR and marketing. Now that I’m at Petersens I’m really looking forward to my next three months and am keen to learn a lot more about how a PR agency works. It’s only my second day but everyone here has been incredibly friendly and I feel completely at ease. Like many other graduates I’m still not completely sure where I want to be in ten years time but the more experience I gain the more I’m gaining a clearer picture. Although finishing university is scary I am beginning to realise it’s also extremely exciting and full of new opportunities. Having been in the Marketing/PR sector for most of my working life, it has always been difficult to give clients a really effective way to measure the success of their Marketing/PR budget. However, with the advent of digital activity, the Marketing/PR spend and the Return on Investment (ROI) can be much more accurately measured. 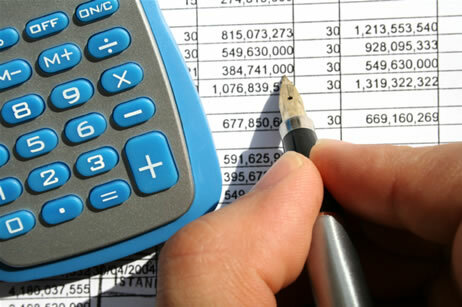 Key Performance Indicators or KPI’s should be agreed at the start of any campaign e.g. such metrics as key messages to be covered, share of voice, prominence, positive sentiment etc. Some of the most useful tracking tools for evaluating effectiveness of a campaign are Google rankings, marketing qualified leads, social shares, and cost per lead. Now we can also see how customers/consumers are interacting with brands through digital analytics and social media listening, allowing advertisers to capture conversations and feedback which 10 years ago was not possible. So with this greater sophistication in measurement and the ability to fine tune campaigns to reflect consumers comments and reactions to particular messages, businesses can really learn what their customers feel about them. This means that advertisers can now much more effectively target their budgets with clear relevant messages. 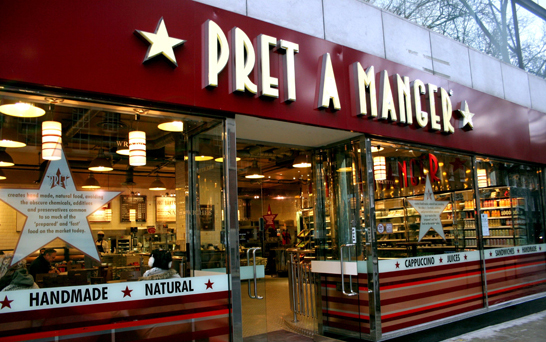 A perfect example of the effect of an advertiser listening to comments from social media, is sandwich chain Pret A Manger who is re-launching its Quinoa Rice Pot after customers took to Twitter demanding that vegetarian products be made suitable for vegans. Just look at some of the other High Street brands who have embraced social media, such as Starbucks UK with 1.35 million likes on Facebook, and Costa with 1.25 million. If you are currently promoting your business without using social media, and the resulting ability to measure the effectiveness of your marketing spend, you are missing an important element of conducting business in 2015 and beyond. If you need help in planning your PR or Social Media activity, please do not hesitate to call us. Like most undergraduates at university, it may come as no surprise to know that my future is viewed through frosted glass. I do not have a clear picture of where I want to be at 30 years old and what I want to have achieved by that point. However, when deciding on what career I would like to pursue, I differ from the stereotypical student. I am passionate about marketing. I enjoy building relationships with customers, whether it be the local who always pops in the shop to buy his copy of the Gazette or whether it be an entire company with a host of employees. Communication is something I enjoy and something I am good at (just ask my mum), so to have the opportunity to build a career around communicating with people is my ideal. I am currently a second year undergraduate at Cardiff University studying Econ Sociology, which might sound strange after I’ve just said that I’m keen to pursue a career in marketing. It is precisely this reason which led my desire to do a Work Experience Insight at Petersens PR. Sociology degrees provide you with little experience specific to marketing and I wanted to learn more about marketing and the areas around it, such as Advertising and PR, from within a working environment. I arrived at Petersens on the day of the solar eclipse, so was greeted by a crowd of people. I stepped into the office and any worries and anxieties I had previously held about this Insight vanished. The team were very friendly and the atmosphere was positive and relaxed, but still very professional. 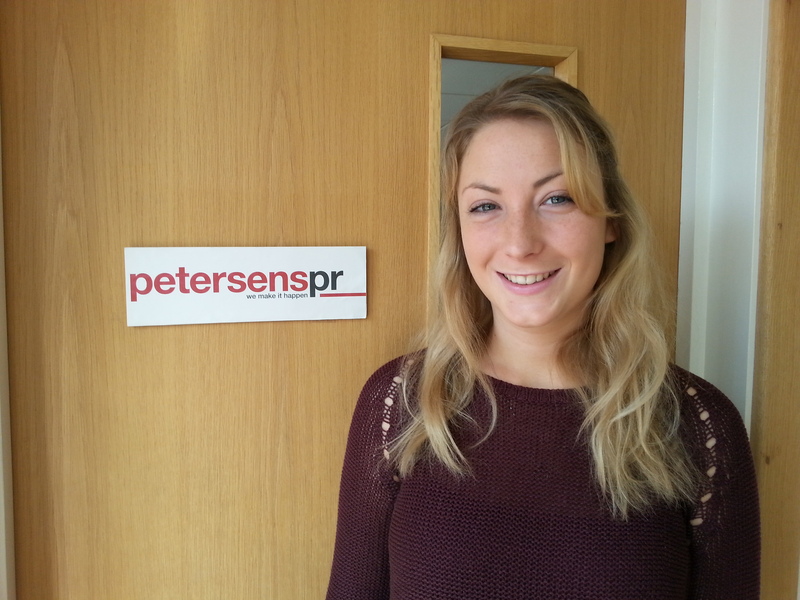 I sat down and was talked through what Petersens PR does as a company, who their main clients are and then I was shown examples of what they had done for their clients, as well as being informed of what my role would be over the coming weeks. I have just finished reading through the press releases for some of Petersens main clients and it would be fair to say that I am thoroughly looking forward to working with this team for the next few weeks. I know that I will gain a wealth of knowledge from the company and that I am really going to enjoy my time here. Beware if you are using your mobile phone, the Ad man cometh!! For a marketing man who started his working life in the media department of an advertising agency, digesting media readers’ life figures from long surveys, I was fascinated to read of how sophisticated the media buyers’ world has now become. The phrase ‘Out of Home’ may be well-known to a number of ad people but the ‘average’ member of our population (if there is one!) would not have a clue as to its meaning. Let me enlighten you. Out of Home refers to all opportunities that Ad people have to sell or inform you about products or services from the moment you leave home. So from the moment you close your front door you are a potential target for the specialist OOH Ad man! From posters, in papers, on books, radio or anywhere where potential consumers travel they could be after you! Beware if you use your mobile as they can immediately locate you and then target you to promote specific shops/restaurants/bars etc for your consideration. This is done with such a degree of accuracy that the recipient of such messages can be targeting using visual, sound or even smell and is given relevant information about products and services they were more likely to need; rather than large print advertisements where a large percentage of readers may be totally unsuited for any messages aimed at them. I believe that with such precise targeting of messages in the future there will be less wastage in promotion budgets and the consumer ultimately will benefit from relevant messages delivered via OOH media channels at no cost to the consumer. In all my years in the marketing business, it is the companies that continue to invest in marketing and PR, and wisely even increase their marketing spend, reap the dividends when times improve. Research gathered over the recession justifies these comments and I urge companies considering their budgets for next year to not put a red line through marketing and promotion!